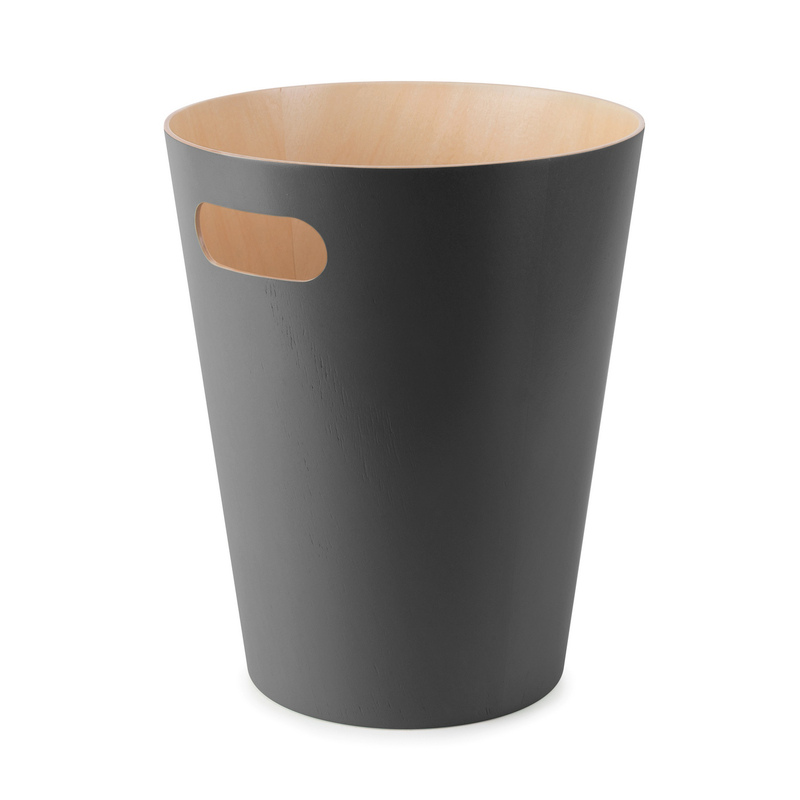 This duo-tone can is designed by Henry Huang for Umbra. It brings modern style to a household basic and contemporary aesthetic where you least look for it. 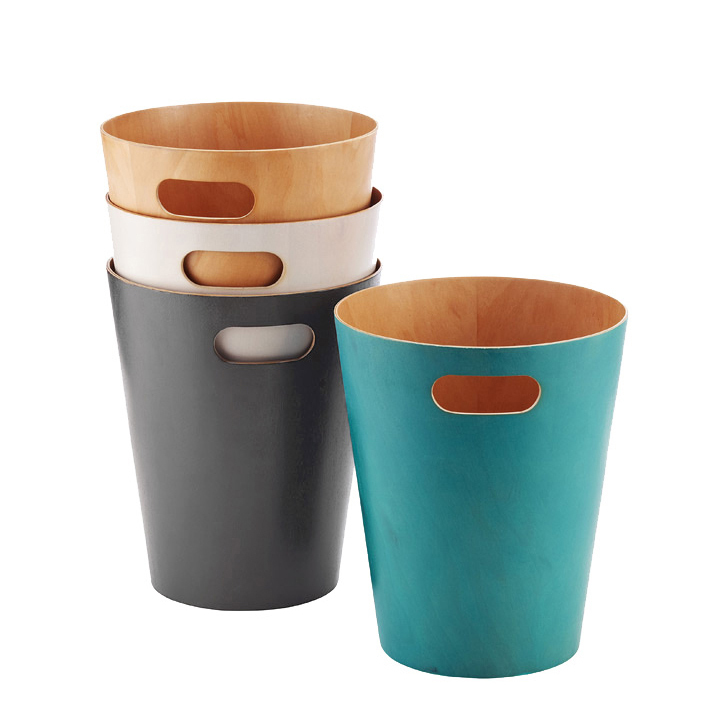 It is constructed of bent wood with a stained finish, while its integrated handle allows for easy transport. 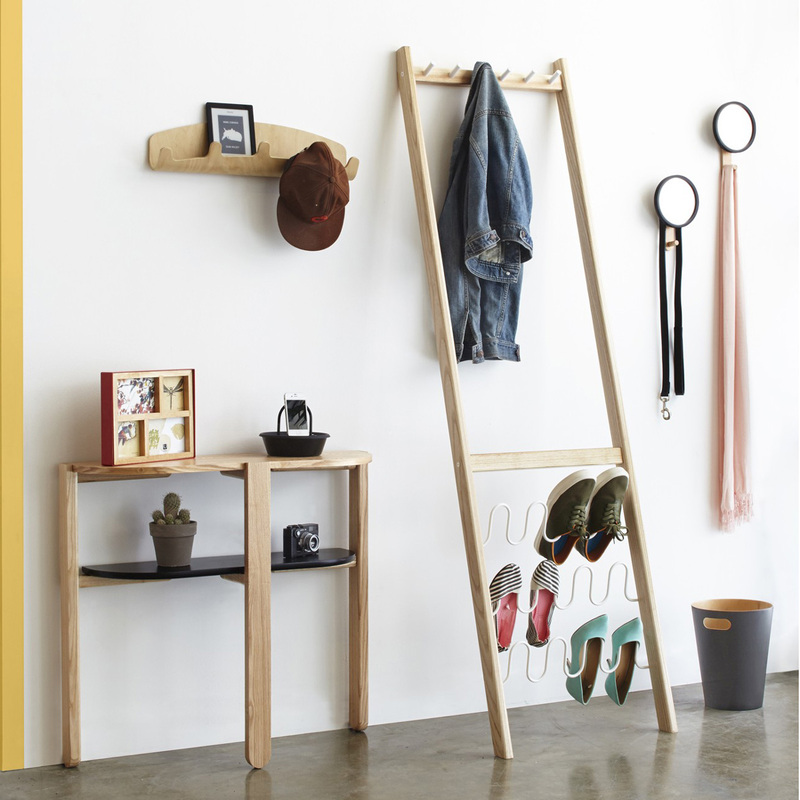 Perfect for any room or office/study. 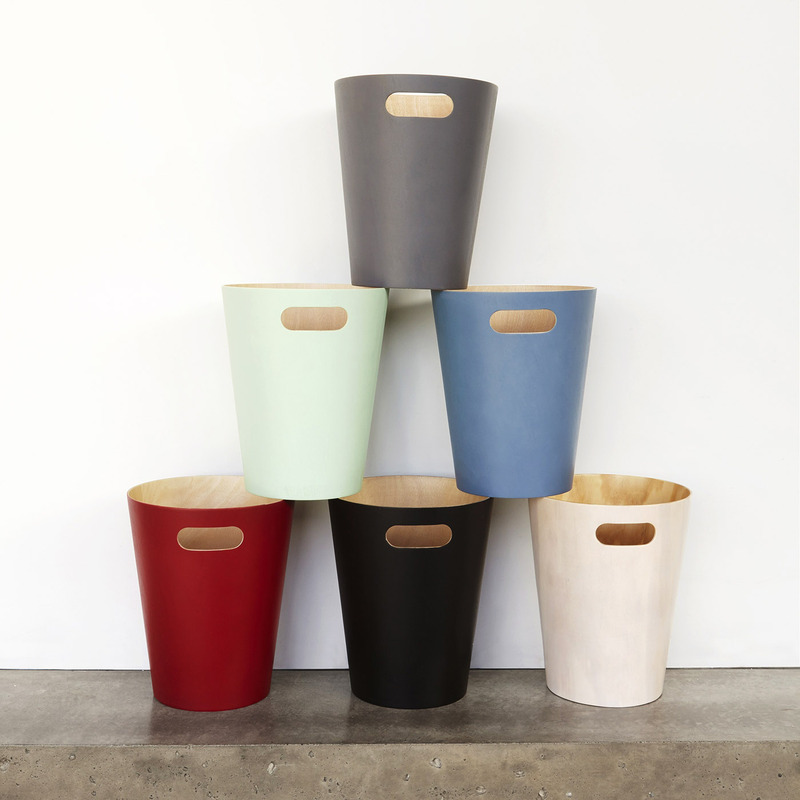 From the designer: "When redecorating my home, I was looking for a very clean and simple waste bin in real materials that would coordinate with the rest of my furniture. I designed the Woodrow Can in a natural material that not only provided an elegant look but in a form not typically seen." Integrated handle for transport and easy disposal of contents. Natural treated wood with dark grey stain finish on the outer surface. Dimensions: Ø 23 x 28 cm (Ø 9" x 11"). Capacity 9 litres (2 1/4 gallons).